I am probably from a different background than most of you. Last Spring, I joined Austin Human Resources Management Association to learn about human resources and facilitated the SHRM certification course at Concordia University. My first event at TD Austin was Oktoberfest. I started my membership with a bang by winning a free course. After being intimidated by the amount and depth of the courses available, I decided to start with Writing for Instructional Design and Training Certificate because as learning and training professionals we spend about 80 percent of our time writing. We need to be persuasive, accurate, and manage the audience’s cognitive load. It is both art and science and Karin Rex, the teacher is an accomplished author and instructional designer. I highly recommend you taking this course. I have been self-employed or a business owner most of my life. I moved to Austin my localization agency where I produced software demos and video games in multiple languages. I have a Master’s of Science in Applied Psychology and a Higher Education Teaching of Psychology Graduate Certificate. 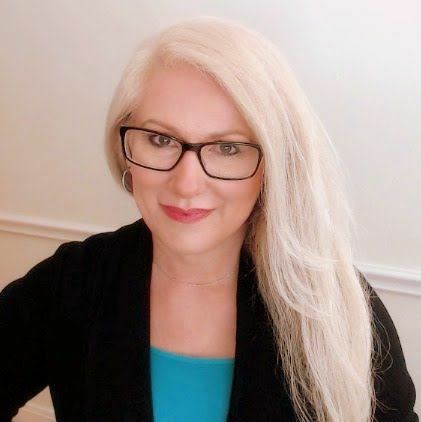 I am a Certified Professional Coach (PCC) in the areas of Relationships, adult ADHD Mind Traits, and Highly Sensitive People Temperaments, and have cultural and career coaching clients as well. All my clients benefit from my adult HSP/ADHD mind traits training as a professional coach. They are enhancing their family life and work through improved brain executive functioning, interpersonal skills, and personal emotional regulation techniques. Next year will be my third at the Institute of Coaching, McLean Hospital Harvard Medical School and am currently working on a second Masters of Arts in Psychology, Organizational Behavior at Harvard Extension Faculty of Arts and Sciences. I take most courses online and do short-term research residencies in Winter and Summer. I have two works of love first, developing youth’s skills and opportunities in STEM careers. I serve as a board member of STEM Scouts which provides after school programs in elementary and middle school. I help design the processes of recruiting, training, and retaining Lab Managers, and other volunteers that run the program in Austin. The second is supporting and developing women in the workforce. I was looking to join a support circle after reading Sheryl Sandberg’s Lean In for Graduates book this year. Austin Lean In Circles were all closed to outside members so I decided to be the founder of the first industry inclusive Lean In ATX Chapter and STEMinists Lean In Circle. We do not have sponsors and accept all women Lean In Circles. I love designing experiences for increased human collaboration, innovation, and increased performance. I help others see the world through human brains, not eyes. They build an effective and agile portfolio of personal practices as they make distinctions and adjustments in coaching. I am looking forward to learning and sharing with all of you at TD Austin. Connect with me LinkedIn Profile.